I love Christmas traditions! There are some that most everyone does like stockings, the Christmas Tree and presents. There are some that less people do like the candlelight service, opening one gift on Christmas Eve, dinner out at a fancy restaurant. Then there are those unique to a small number of people like getting new pj’s every year for the whole family, crazy Christmas card family pictures and my favorite…the ornament exchange. Every year each member of my family gets a new Christmas tree ornament. I get one for each kid and my husband and my husband gets one for me. There are a few rules to the exchange. 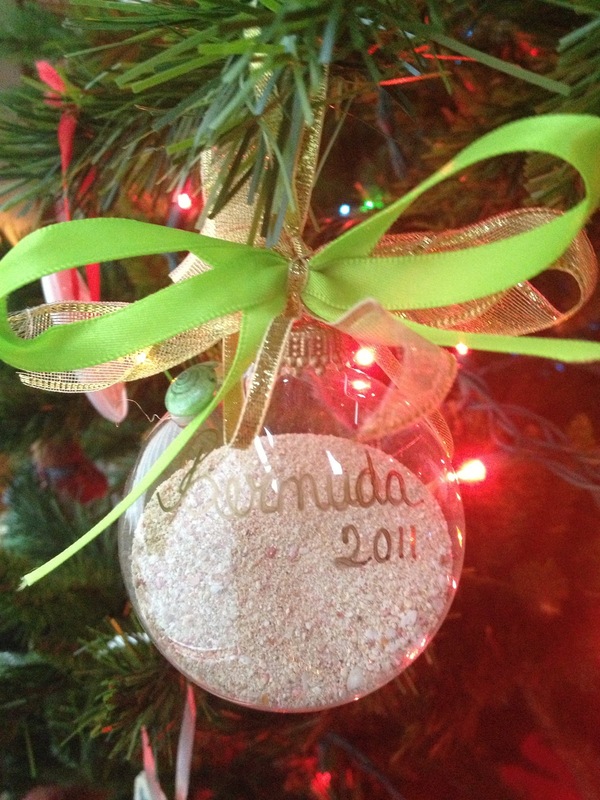 First, the ornament has to relate to the past year of the person’s life. For example…this year we got Louie for my daughter’s birthday, so getting her a dog ornament would be perfect! (which I did :0) We have everything from cellphones & saxophones to Harry Potter & Cinderella. The second rule is that it must say the year on it. Even if that means writing it on with a permanent marker. This way when we get out the ornaments every year, we can reminisce about that year and what it meant to each person. It makes putting up the Christmas tree so much more fun. The last rule is that we open them on Christmas Eve and put them on the tree for Christmas. So why am I telling you about this on my TRAVEL blog? 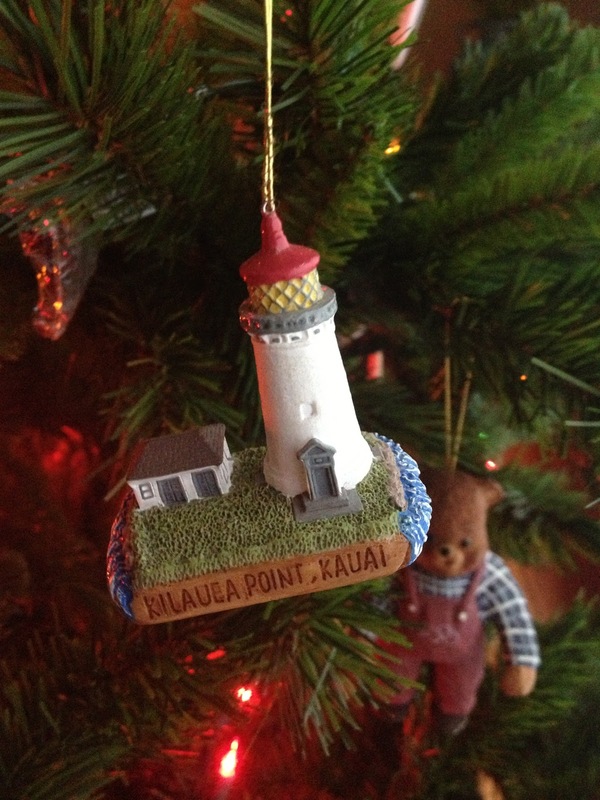 Well, over the years I have given my husband several ornaments from our travels. Obviously traveling is something I love to do. Well, so does my husband. So our trips can be the highlight of our year. When we took our Alaskan Cruise, I bought the Holland America Line ship on board in the gift shop. 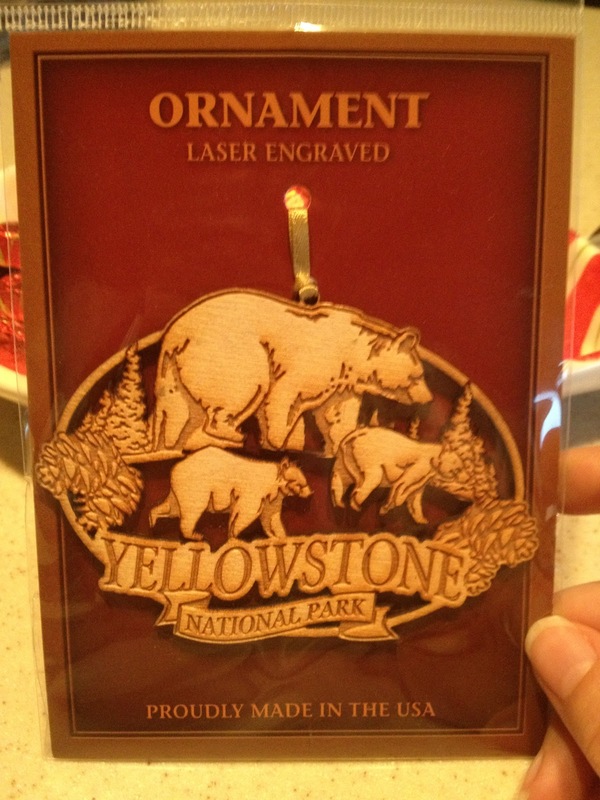 That year, my husband did the travel thing as well and got me the gold Alaska ornament. We never know what the other is getting, so we got a kick out of thinking the same thing. Our Bermuda trip in 2011 was so much fun for the entire family. We spent so much time at the pink sand beach. 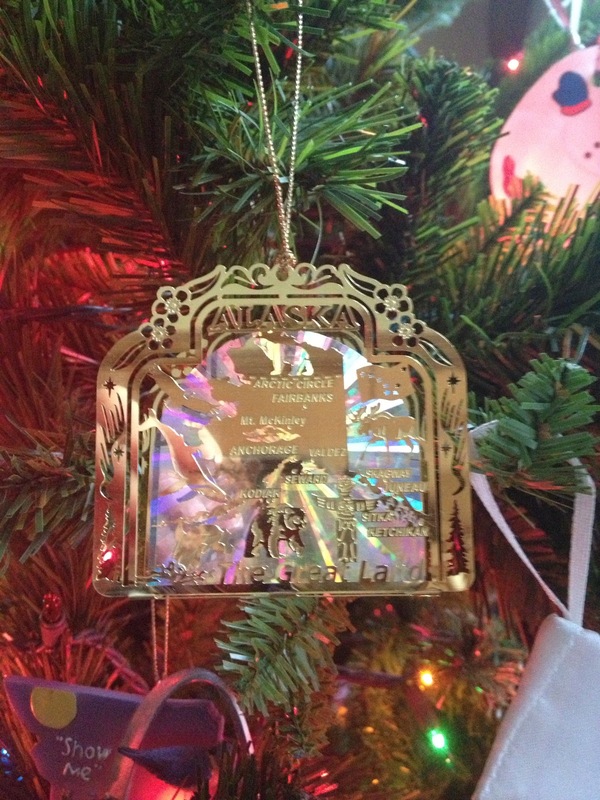 So when I saw this ornament in the hotel gift shop, I had to get it. That is actual Bermuda pink sand in the ball. Great memories! One of my favorite hotels in the United States is The Greenbrier! In 2010 we visited there for the first time. We have since been back several times. On that first trip I bought my husband this ornament. 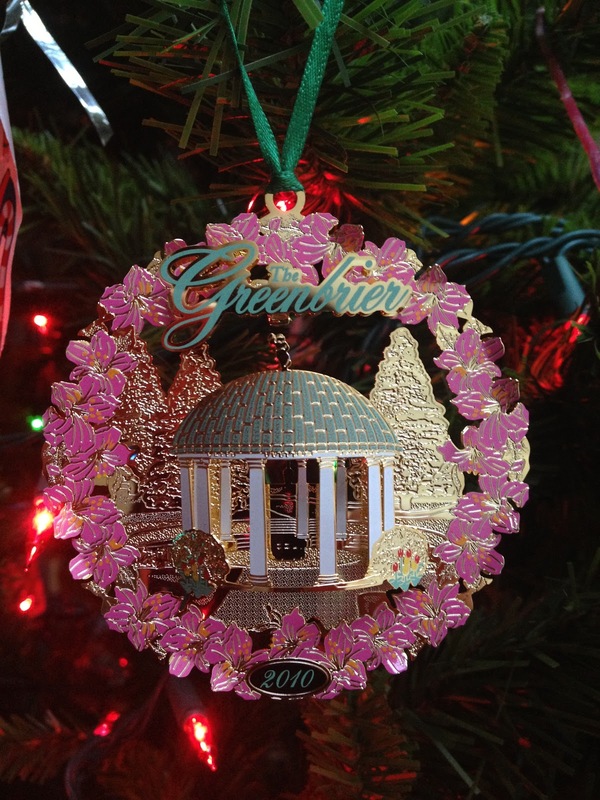 The Greenbrier has several ornaments to choose from and they make a special collector’s one each year with the date on it. 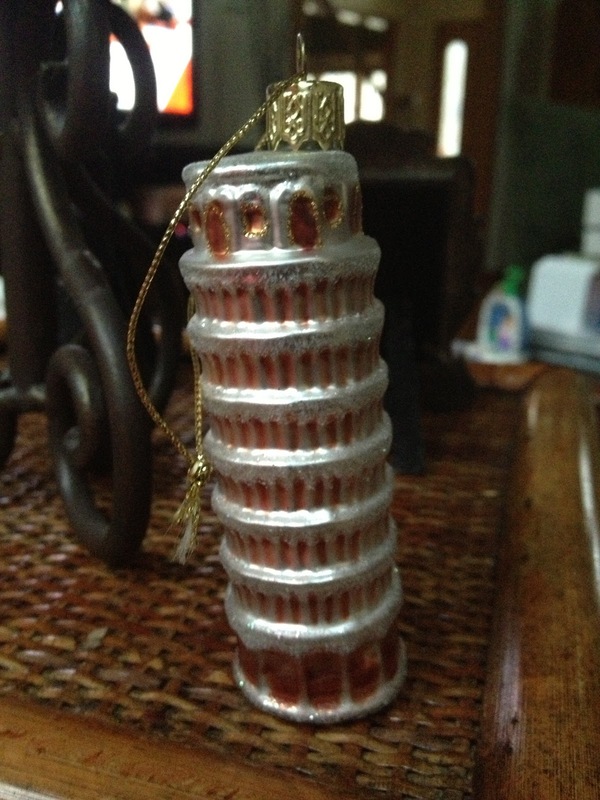 If I didn’t get anything else for Christmas I would be okay as long as I got my ornament for the tree. It has become a really special, unique tradition in our family. I want to know what fun Christmas traditions are unique to your family? That is an excellent idea to collect Christmas ornaments from all your travels Sonja! Thanks, Karla! Hope you had happy holidays as well….and now a Happy New Year!